• Glimmer Casino Review - A Straight-Forward Choice? Glimmer Casino is one of the few operators that successfully attempt to bring glam back to online betting. Decked out with glamourous disco-balls, this casino site is surely one of Casino Gorilla’s favourite. Although our casino-evaluating talisman is super old-fashioned, he fancies having fun at disco parties, and Glimmer is certainly a place he would enjoy. With its disco-themed design, the casino welcomes new players with open arms, introducing them to a hodgepodge of features that are stylish, but consistently straightforward. Owned and powered by Progress Play Limited, this online casino brings a highly advanced tech solution that can be launched on various devices, be it desktop or mobile. According to the Casino Gorilla, the eventualities at Glimmer Casino are rather boundless. How true is this? Let’s get down cold! Most casinos by Progress Play are known for their charm, glamor, and generosity, especially with the welcome bonus. Glimmer Casino is no exception. As usual, the casino packs a sumptuous welcome package for its new users which offers a 100% match up to £200. What does this mean? Deposit £20 and get an extra £20 in bonus; deposit £100 and get £100 in bonus; deposit £200 and get £200 in bonus. In essence, you will be doubling you chances to win big! 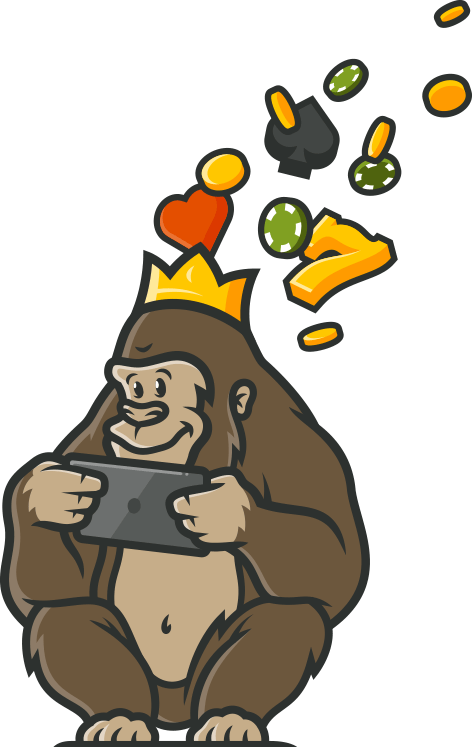 A downer though, the Casino Gorilla has never been particularly pleased by Progress Play’s insistence on x50 playthrough requirement. He thinks this should be toned down to a region where players can be able to hit the bonus once in a while. Nonetheless, the casino is still doing a great job to bring other promotions where players can amass a variety of bonuses. At the time of writing, Glimmer Casino was running various promotions such as ‘Winter Slots Wonderland,’ ‘Twice Wicked,’ ‘Roulette Cashback Weekend,’ and ‘Wednesday Wildfire’ and more. These promotions bring punters perks galore that include free spins, cash-backs, as well as match bonuses and are run on a weekly and monthly basis. Everything gets better in the VIP club at the casino where perks including discounts, extra bonuses, and special promotions become order of the day. The more you play at Glimmer Casino, the higher your loyalty points increase, and the better the benefits you’ll collect. It’s the casino’s way of saying thank you for being loyal! At the moment, Glimmer Casino isn’t advertising any free spins on sign up. For some reason, nearly all casinos managed by Progress Play aren’t offering free spins as welcome offer as usual. 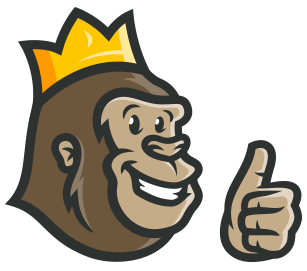 The Gorilla suspects is some sort of new year change and believes, sooner rather than later; Glimmer will reintroduce the 5 free spins no deposit and 25 free spins after deposit bonus, or even come up with better offers. Slots fanatics you still get a chance to enjoy free spins from other promotional offers that frequently come in all shapes and sizes. Activating the match bonus at Glimmer Casino is as easy as A, B, C, D…all that’s required is registration, a small deposit, and the match bonus will automatically be triggered. If you love to sign up quickly and start playing immediately (we all do), then this casino should be high on your list. No promo code required, no unnecessary delays! One of the features that will truly wow visitors is the live dealer gaming lobby. Glimmer Casino presents an attractive live dealer games with multiple versions of Live Blackjack, Live Roulette, and Live Baccarat. The live dealer lounge is adorned in a party-like design and controlled by smartly-dressed and professional dealers all of which increases the thrill and overall gaming experience at the casino. All of the casino’s games, whether slots or table games, can be played on mobile devices thanks to its fully mobile-compatible site. Access Glimmer Casino quickly and straightforwardly by keying in the site’s URL the same way you’d do on your laptop. The casino is compatible with nearly all devices that operate under Android and Apple operating systems. You’ll love being able to access all your favourite games when you are out and about without compromising games quality or winning chances! Glimmer Casino has built a relatively strong reputation for offering fair and reliable software that is reliable and robust. All the sensitive information on its site is protected with advanced SSL encryption technology to warrant safety and privacy of your data. Games at this casino site are regularly tested for fairness and dependability by independent and well-established institutions such as eCOGRA to ensure games are trustworthy and run randomly. Player protection, security, privacy, and responsible gambling is certified by the fact that Glimmer Casino holds two licenses from reputable statutory bodies: Malta Gambling Authority (MGA) and UK Gambling Commission (UKGC). Both MGA and UKGC have remarkable reputations in the iGaming industry for strict and regular quality control of their licensees. The customer support at Glimmer Casino is available 24 hours a day, 7 days a week via live chat, email ([email protected]), and social media channels. It is unfortunate that this stylish casino doesn’t include a direct phone contact for convenience and expediency of its users. in future, this is an area that demands improvement. However, there’s a great FAQ page that gives players before-hand information on matters arising within the casino site. Players from the following countries are not allowed participation: USA, Belgium, Turkey, South Africa, Slovenia, Slovakia, Romania, Spain, Portugal, Norway, Luxembourg, Lithuania, Italy, Israel, Hungary, Greece, Antarctic and Southern French territories, France, Others. Looking beyond the glitz and disco-theme, Glimmer Casino is quite straightforward and down-to-business operator. As its always the case, the Casino Gorilla is really impressed by the game’s profusion (he loves everything in plenty, btw!). There’s stuff to be improved, of course, such as lowering the wagering requirements for the welcome bonus and provide a phone support for convenience. Overall, the Casino Gorilla doesn’t fault Glimmer, rather thinks the possibilities are limitless. Due to an RTP of about 94%, excellent live dealer games, and instant play format, this casino site is ideal for punters looking for a pure yet thrilling gambling experience! Glimmer has a great VIP program, but the regular bonuses are not so great. They have massive requirements and end up costing more than they are worth. Stay away from bonuses and just play and you’ll be fine and win a lot. The games are good and the site is quite nice but what I didn’t like was the fact that their response times were bad. The terms and conditions are also quite strict and not readily available which I think needs to be changed.